On this trip we take a spin up the western end of the Royal Canal and the Camlin river. This is an exceptional stretch of waterway through the deep cutting that cuts across a dogleg in the winding Camlin river. We moor up where the Royal Canal and the Camlin river meet. Then we enjoy a great meal in the Richmond Inn beside Richmond Harbour and known locally simply as Dessie’s. The Mooring on the Camlin is just above the weir and it’s a fab scenic spot. 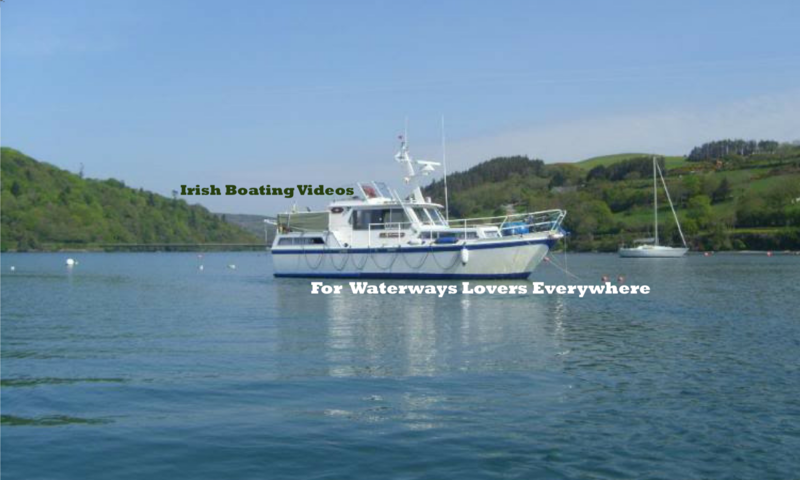 The Camlin river is well known for it’s beauty but sadly many Shannon cruisers avoid it because it can be a bit shallow in spots and its windy course and narrow stretches can make passing another boat a little challenging at times. To be very honest with you I don’t think that any of the above are genuine concerns that you should be worried about. On the Camlin river you will spot any other boat that may be approaching well before you need to pass it. So you will have plenty time to make sure that you pass at one of the many wide spots. It’s funny because the landscape is so flat and featureless you may spot a boat across several fields to your right and twenty minutes later pass by that same boat on your left. The Camlin river takes a fantastic windy course and it’s a real pleasure to navigate it.